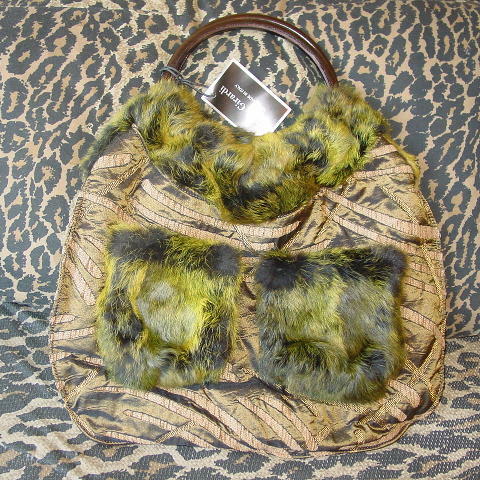 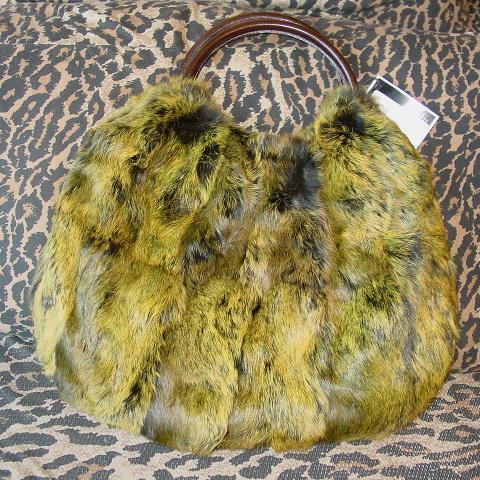 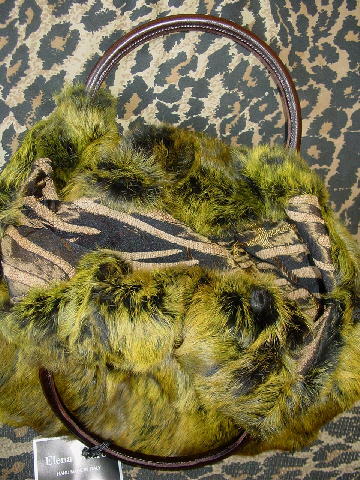 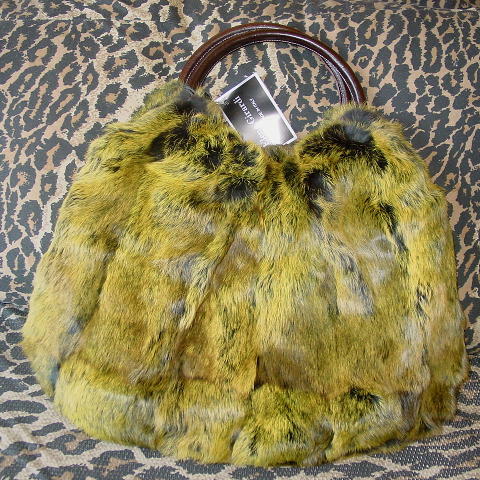 This never-used gorgeous multi-tone green soft rabbit fur hobo style purse was handmade in Italy by Elena Girardi. 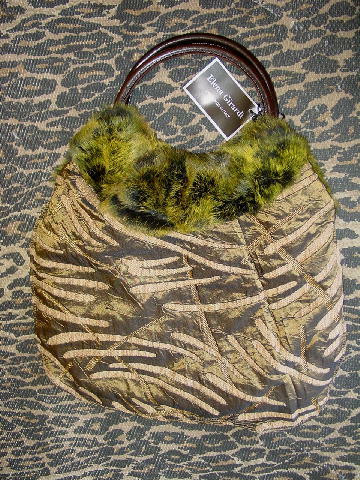 The purse is reversible with a golden khaki-green, golden thread and nubby multi-tone light brown fabric. 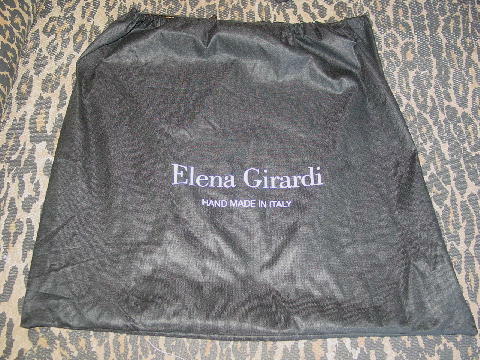 It has a 23 1/4" by 21" black bag with black drawstrings and Elena Girardi Hand Made in Italy in white letters on the front.